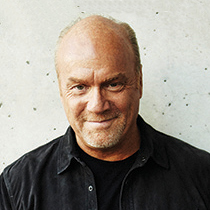 Greg Laurie issues a global warning: The church must get back to the biblical basics or risk losing its already dwindling influence. These are things I have been thinking about a great deal lately. My life was impacted dramatically by the power of the gospel. In one single day, I completely had the direction of my life changed—for the better. I had looked for truth and answers in this world—and had found none. But it was the bold, unashamed witness of committed Christians that won me over. People could have tried to be cool to win me over, but it never would have worked. I had had enough of “cool” to make me choke, up to that point, in the crazy home I was raised in. I had pretty much seen it all and was tired of it all. Nothing to me was lamer than people trying too hard to be cool. No, when I first encountered Christians, I thought they were the lamest people ever. So, what was it about them that appealed to me? They just didn’t care about things like that. They cared about knowing and following Jesus. There was an authenticity about them that drew me first to them, then to Jesus. That’s what I was looking for: something to believe in, something or someone worth changing for, something to die for, something that was genuine, real and authentic but most of all true. By the way, young people are still looking for this today. I have seen generations with names like Boomers, Busters, X, Y, and Z come and go. Our music and style has changed as a church at Harvest throughout our history, but our message has not and it will not! It cannot, because the gospel is the gospel. Paul reminds us the gospel is, “The power of God to salvation to everyone that believes” (Romans 1:16 NKJV). I know this is true. Yet, the gospel is under attack like I have never seen. The church has always had its minor disagreements, but this is serious. This is not about what style of worship or music you prefer. This is not about how you view the order of prophetic events, or even the neverending debate concerning the sovereignty of God and freewill of man. This is life and death. For in what we call the church today, there is a debate among a growing number as to whether or not Jesus Christ is the only way to salvation. Or as to whether or not “All Scripture is given by inspiration of God. . . ” (2 Timothy 3:16 NKJV). There is a popular movement that is gaining momentum called “The Emergent Church.” It is very popular, especially among young people raised in the evangelical church. They are looking for their own expression. There is certainly nothing wrong with that! They want to “be real” and “authentic” and “honest,” as my generation did. That’s fine, but “being real” is not the most important thing. Being right with God is. Because, quite frankly, you can be “real” wrong! And there are some pied pipers who are leading them down the wrong road. One of these leaders made this statement: "I must add, though that I don’t believe making disciples must equal making adherence to the Christian religion. It may be advisable in many, not all circumstances, to help people become followers of Jesus and remain within their Buddhist, Hindu, or Jewish contexts." This sounds very inclusive and loving, but it is flat-out wrong and unscriptural! We want people to become followers of Jesus in a biblical context! The Bible teaches that you become a child of God through faith in Jesus Christ. The Bible clearly tells us, “Nor is there salvation in any other, for there is no other name under heaven given among men by which we must be saved” (Acts 4:12 NKJV). Jesus plainly said, “I am the Way, the Truth and the life... “ (John 14:6 NKJV). Folks, this is New Age mysticism, not New Testament Christianity. No, you will only find Christ living in those who have put their faith in Him. Scripture reminds us, “But as many as received Him, to them He gave the right to become children of God, to those who believe in His name” (John 1:12 NKJV). So, instead, I want to issue a global warning: We’d better get back to basics, or we will lose what little influence we have as the church.